"All school choice options must embrace the responsibilities that accompany public dollars. These responsibilities are grounded in our nation’s commitment to civil rights via ADA, IDEA, and Section 504. The Center and its Equity Coalition members developed the Principles of Equitable Schools to establish a standard of equity intended to guide policy makers, legislators, and advocates and to help parents weigh their options when choosing a school. These principles should be upheld by any school enrolling students using public dollars. Upholding the Principles ensures equity and compliance with our nation's civil rights laws." This post by Kirsten Schmitz originally appeared on Ahead of the Heard. 2. Charter schools report serving those students in more inclusive settings. 3. 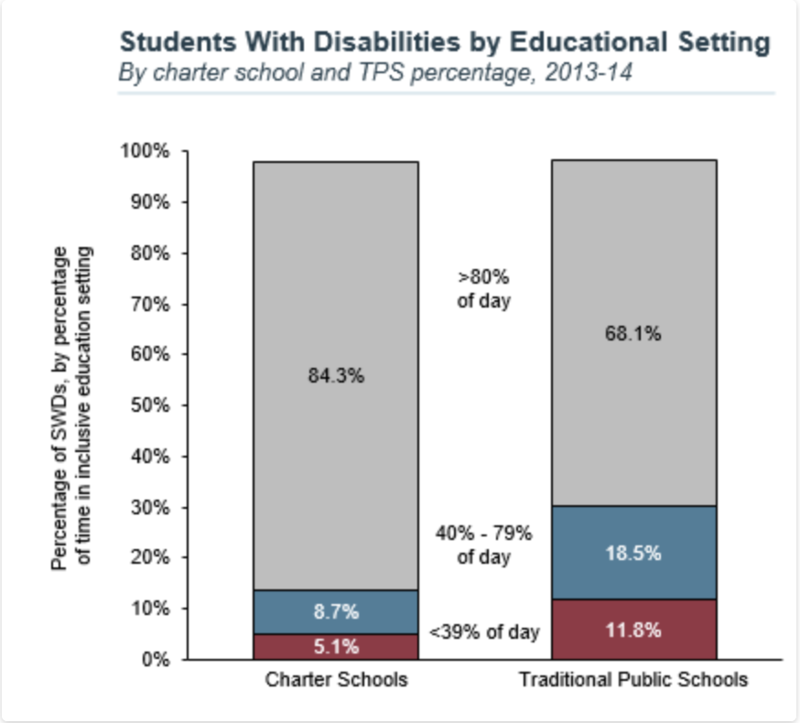 Students with disabilities are more likely to face disciplinary action than peers without disabilities in both charter schools and traditional public schools. 4. 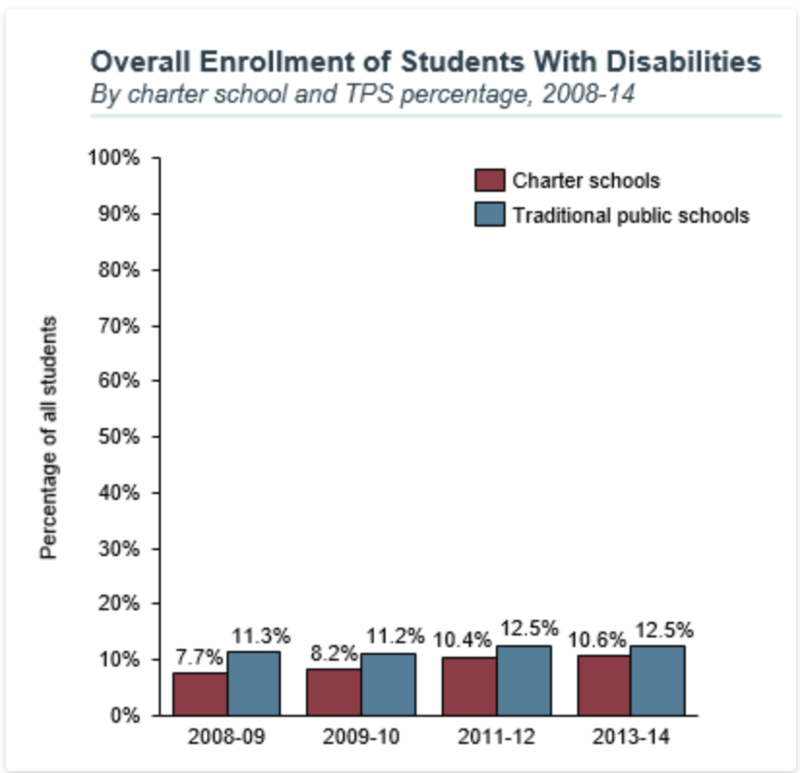 However, disciplinary actions for students with disabilities in charter schools and traditional public schools differ across suspensions and expulsions.